Susan Philipsz (born Glasgow; 1965) studied at Duncan of Jordanstone College of Art and Design, Dundee and Ulster University. Philipsz’s work explores the psychological and sculptural potential of sound. Using recordings, predominantly of her own voice, Philipsz creates immersive environments of architecture and song that heighten the visitor’s engagement with their surroundings while inspiring thoughtful introspection. While each piece is unique, the storylines and references are often recognizable, exploring familiar themes of loss, longing, hope, and return. These universal narratives trigger personal reactions while also temporarily bridging the gaps between the individual and the collective, as well as interior and exterior spaces. 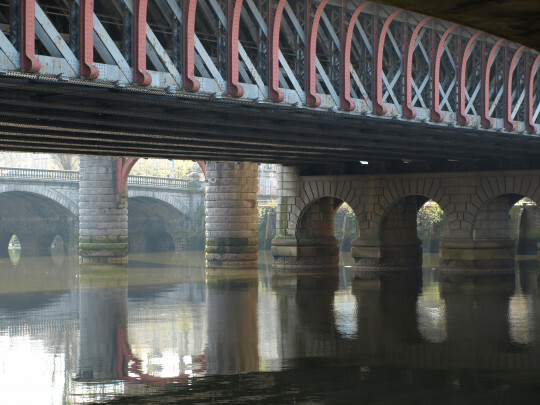 Lowlands, for which she became the first sound artist to win the Turner Prize in 2010, was originally created for the Glasgow International festival and installed on the underside of three bridges in Glasgow. In this piece Philipsz sings three parts of a 16th-century Scottish ballad called Lowlands, a song about of a man drowned at sea who returns to tell his lover of his death.